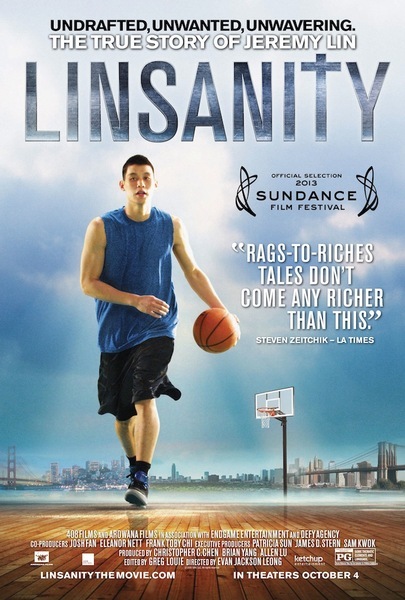 Mo Chen invites everyone to see Linsanity, the documentary about Jeremy Lin on Friday, October 11, at 7 and 9 p.m. at the Garden Theatre. Even the most casual basketball fan knows the story of Jeremy Lin, as he and his New York Knick teammates created one dramatic win after another in a season that seemed to be going nowhere. Lin is known as a committed Christian. The Princeton Area Alumni Association (PA3) in association with the Asian American Alumni Association of Princeton (A4P) sponsor these two showings, which may be the only two in New Jersey. Tickets must be purchased in advance online. Tickets are $15 and $7.50 for students. This entry was posted in Community, Lifestyles, Youth. Bookmark the permalink.